Without question, the single most important relationship management instrument for both advertisers and agencies alike is the letter-of-agreement (LOA). At its most basic level, the LOA establishes the ground rules for each party along with their respective responsibilities during the relationship and afterwards, identifies agency deliverables and staffing commitments and spells out how the advertiser will compensate and evaluate the agency. From an advertiser’s perspective, the LOA establishes critical legal and financial controls. These controls are designed to provide a level of protection and transparency required to assist the advertiser in effectively monitoring the agency’s stewardship of their advertising investment. However, in spite of the importance of LOAs in safeguarding advertiser interests it is an area in which many advertisers fall short when it comes to securing their rights and protecting their interests. The reasons for this range from insufficient industry specific experience among an advertiser’s legal and procurement team to the lack of an advertiser-centric agency contract template for utilization across an advertiser’s agency network. Thus, advertisers should secure their right to review any facet of the agency’s compliance to the LOA and or their stewardship of the client’s advertising investment. This would include, but not be limited to; fees/ commissions paid to the agency, the accuracy of agency time-of-staff reporting, assessing the accuracy and timeliness of third party vendor billing activities or reviewing the agency’s compliance with competitive bidding requirements. Importantly, the Right to Audit clause should survive the termination of the relationship for a period of two to three years. 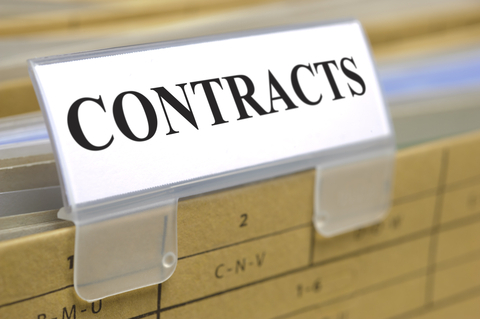 Regardless of whether an agency is compensated based upon staffing investment levels, retainer fees tied to a statement-of-work (SOW), project fees or commissions it is imperative that the advertiser require the agency to track their time. Ideally, time should be tracked by person, by day in quarter-hour increments by project/ task and reported back to the advertiser on a monthly basis. This allows both client and agency the opportunity to assess the efficiency of the processes that are in place to guide project workflow and to identify means to refine and improve those processes. Similarly, whether the remuneration is tied to an agency’s direct-labor investment or commissions tied to advertising spend the LOA should require that the fees/ commissions paid be reconciled on a quarterly basis. Further, the LOA should specify how differences in planned activity or resource levels (over or under) will be squared up at the time of the quarterly reconciliation. As agency compensation models have evolved over the years, so to have the number of components that go into the calculation of agency remuneration. Of note, none of these components have standardized definitions. Thus it is critical to clarify client-agency intent and understanding within the LOA by specifying what constitutes a full-time equivalent, what comprises direct labor or indirect overhead, is the commission rate established off of a gross or net base, etc… Additionally, when and where possible, incorporate the use of examples to show the method to be utilized to calculate specific outcomes. Finally, with the proliferation of agency holding companies and the myriad of mainstream agency and specialty services providers which they own it is likely that an advertiser is being served by many of those firms, with or without their knowledge. Beyond creative, media, and digital resources these could include research firms, barter companies, production companies and trading desks. The LOA should require that an agency fully disclose all intra-company transactions and assert that the LOA terms and conditions apply to and bind each of those affiliate companies as well as the agency-of-record. This will insure full transparency for the advertiser while enhancing financial controls. If you’re interested in learning more about how you might improve your agency contracts or the benefits of advertising agency contract compliance audits contact Cliff Campeau, Principal with Advertising Audit & Risk Management at ccampeau@aarmusa.com for your complimentary consultation. ← What is the Key to Client-Agency Success?